What triggers high intensity Auroras? What’s the best time of the year to see the Aurora Borealis? Can the Northern Lights be seen further south? How long do I need to see the Northern Lights? Can you actually see the Northern lights with the naked eye? Will the Full Moon affect my Aurora viewing? What colour are the Northern Lights? Can we predict Aurora Borealis activity? First off, before I start I wanted to elaborate a little on the above. I’ve always held a certain fascination for the Northern Lights. My earliest memory was a documentary on the Discovery channel on Antartica when I was around 12 years old. I found them ethereal and magical and straight away wanted to know more about them and see them. Being a 12 year old though has it’s drawbacks =) Being completely at the mercy of my parents destination wishlist meant that I wouldn’t really get to chase this dream until a little later on. So that plan was on the back burner for a few years. So I studied, left school, and started working. At the age of 20, the Northern Lights popped into my little noggin again, and with freedom and a paycheck, I started doing my research and was adamant this time on seeing the Aurora Borealis. I researched everything from Solar cycles, weather patterns, prediction techniques and annual aurora statistics to ideal destinations under the Auroral Oval. Aaah the Sun =) The beautiful Sun! Not only does it sustain life on Earth, but it creates one of the most beautiful natural displays known to man. The Aurora Borealis happens due to the interaction between the Solar Wind and the Earth’s magnetic field. There are a few terms worth remembering just so it’s a little easier to understand. Solar Wind – A stream of particles originating from the Sun that travels towards us (and other planets alike). It can vary in density (i.e number of solar particles i.e. protons/electrons in the stream), and in speed. Higher speed streams will reach us faster than slower streams. IMF – Interplanetary Magnetic Field. This is the magnetic field carried with the solar wind. Remember the sun has it’s own Magnetic field, and as the particles leave the Sun, they carry with them magnetic field lines. Magnetopause – This is a boundary between the Earth’s magnetic field and the Solar Wind. Think of it as a sort of barrier stopping the Solar Wind from reaching us. So to sum up, as the Solar Wind approaches and strikes the Earth’s Magnetopause, it causes it to bend and flex. If the IMF in the Solar wind has a southern facing direction, the Solar Wind will eventually causes a ‘break’ in the Magnetosphere and creates two Magnetotails that swing around and behind the Earth. When the Magnetotails from both sides meet up on the otherside, they ‘snap’ and slingshot the Solar Wind particles towards our poles. The Solar wind particles collide with the Oxygen/Nitrogen atoms in our own atmosphere. These collisions ‘excite’ the Oxygen atoms. When these ‘excited’ Oxygen atoms return to their previous calm state, they emit light in the process. This results in the Northern (or Southern) Lights. This is slightly over simplified, but illustrates the process by which Solar Wind particles reach our poles. The body of knowledge on the Solar wind and it’s relationship to our planet and the Northern Lights is far from complete. But relationships have been deduced and there are things we do know with relative certainty. Before we answer this question lets specifically look at the ways in which the Solar Wind reaches us. Coronal Holes – Coronal Holes are dark regions on the Sun’s Corona (sort of it’s own atmosphere) where temperatures are cooler. They act as ‘funnels’ for the Solar wind to escape the Sun and travel towards us. Coronal Holes are generally responsible for High Speed Solar Streams (and also Low speed streams). The intensity of Northern Lights caused by these streams are dependent on the IMF of the Solar Wind Stream, the number of solar particles in the stream (plasma density), and the duration of time the stream is hitting us. Solar Wind Streams with good southern IMF – Solar Streams with a decent southern Bz (Southern IMF of approx -5nT or less), with moderate to high Particle Density (approximately greater than 5 protons/cm3), that last for extended periods of time, can cause Geomagnetic Storms and cause intense Aurora displays. Therefore contrary to popular belief, fantastic Auroras are not just the result of CME’s from our Sun. CME’s – CME’s of class C, M and X (C being the weakest, M more powerful and X are real whoppers and only happen a couple of times a year) can trigger geomagnetic storms. The higher class CME’s are more likely to spark high intensity Auroras i.e. M and X, CME’s are intensified when they carry negative IMF’s too. There are situations when weaker CME’s or weaker Solar Wind streams can still cause some amazing Auroras! Say for example that a good Solar Wind Stream is approaching Earth with a Southern IMF, this will in effect ‘weaken’ the Magnetic Field and allow Solar Wind to enter our atmosphere. Imagine now…there is also a CME on the way behind the Stream. Even a low class CME (say B or C) could be intensified due to the fact there is already a ‘portal’ open. So as you can see, if’s not an exact Science. I’ve learnt to get a feel for conditions and can now predict with relative confidence when to expect something decent. I hope this helps you too! This is one of the most common questions I get asked about the Northern Lights. The basic answer is that, although the Aurora Borealis is always present at the northern and southern magnetic poles, we can’t always see them because of daylight hours getting in the way during the summer months at such extreme latitudes. Therefore the best time to try and see this natural phenomenon is anytime between late August – early April when the window of opportunity with regards darker skies is higher. Statistically speaking (I like my statistics) there seems to be higher Auroral activity around the Equinoxes, that is around the months of late September and late March. This is to do with slight variations of the Earth’s tilt axis relative to the Sun’s tilt. During the equinoxes the Earth’s magnetic axis more suitably aligns with that of the Sun’s and larger deviations into negative Bz are more likely, therefore facilitating Solar Wind particle transfer into our atmosphere. Suffice to say, activity does tend to be higher around these months. This is NOT to say that spectacular Aurora’s are not possible in the interim months, in fact I have seen fabulous displays in other months. But since I don’t get to travel as much as I’d like, I like to give myself the best chances and stick to those times. My personal preference is February/March, due to the fact weather tends to stabilize in Northern Scandinavia after December. There is no one right answer for this one as there are many places you can see the Northern Lights. As long as you are situated far enough North (or south if you are thinking of the Aurora Australis) then you stand a chance of seeing the Aurora. North of 63/64 degrees latitude roughly is a good place to see them. All you need to do is click on a location on the maps linked above, and you’ll be given latitudes, most importantly the corrected magnetic latitude. If the location is greater than 63/64 you will be able to see the Northern Lights there (if there’s activity and clear skies). For some people, this might not be particularly helpful as we need specifics, easy to access towns that are close to convenient airports etc. So a more tailored answer for Aurora chasers is that any of the cities underneath the green band in these images, are good locations to spot the Northern Lights. As for my own personal recommendations? Here is my top 5 places to see the Northern Lights. All tried and tested and I’ve had success in each one. They’re fantastic places to try your luck! I’ve listed them in order of my preference and given reasons why. Here are some of my suggestions for where to best see the Aurora Borealis from. These are tried and tested. Feel free to get in touch if you have other towns in mind and would like some advice. 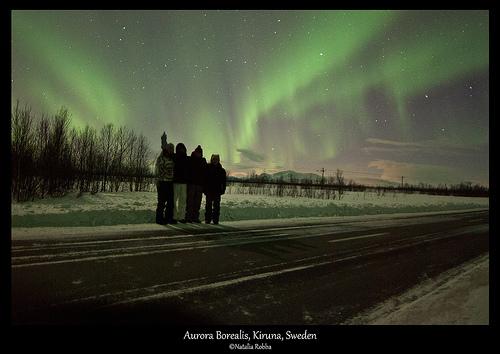 I visited Ivalo and the surrounding area in March 2012 when working with Aurora Hunters for a week. The landscape in this part of Finland is vastly different to that of Abisko in Sweden and parts of Norway. It is much flatter, but so beautiful in a different way! The landscape has a very winter wonderland type feel to it, with snow capped trees, and snow mounds everywhere. Really beautiful =) The people in Ivalo and the Inari region are so friendly and welcoming. Ivalo itself is a relatively small town, with everything you need, supermarket, local pub all within walking distance. I stayed at the Hotel Ivalo for a week. The hotel is basic but more than adequate, with clean rooms and decent food. The best part about this hotel is its lovely location in Ivalo. It sits right off the River Ivalo, literally, 20 seconds walk behind the hotel down a gentle slope onto the beautiful frozen river (On the picture to the right the Hotel is on the left hand side!) Not only is this a hub for daily activities such as snowmobiling and cross country skiing, but makes a good location to view the Northern Lights if you cant get out of the city! Being a small town, Ivalo doesn’t actually have that much light pollution, which means Aurora viewing is entirely possible within the city. In fact I was witness to a wonderful display right on River Ivalo behind my hotel for about 2 hours with several of the hotel guests. Pros – Winter wonderland landscapes, amenities in town, low light pollution, plenty of activities, Aurora tour guides. Furthern inland, therefore colder with more stable weather patterns. Cons – Staying inside the city does have some light pollution, but as long as the Aurora Borealis isn’t too weak you will see them. So tours may be required. Abisko is a lovely little arctic town in the North of Sweden, nestled between Kiruna and Narvik in Norway. The scenery is beautiful with the famous Lapporten mountain range in sight, and wonderful frozen lakes nearby. The small town is offered some protection from cloudy weather due to the Norwegian mountain range, so some say there are clearer skies in this region than others in the area. I myself have noticed that it can clear up in a very short space of time in Abisko! I stayed at the Abisko Mountain Lodge and I really can’t say enough good things about the place. Service, food, location is all top notch, and the best part of all? You just need to step outside your room/cabin into darkness to see the Northern Lights, so you can be ready at a moments notice. So there is no need to pack your car and head out into the dark night and sit in the cold for hours on end (as I’ve done many times!). This really is a bonus to this type of accommodation Your window of opportunity for viewing is so much higher when you can just step outside. If you’re up for something special, you can also take a chairlift up to the Aurora Sky Station for some amazing views over the beautiful Abisko region, and hopefully a great view of the lights! Pros – Beautiful scenery, excellent food, wonderful hosts, no need to go anywhere to see the lights, activities organised from the lodge. Cons – Can’t think of any! Kiruna is a quirky mining town in the North of Sweden. It’s a wonderful base as from here you can get to Jukkasjarvi (where the Icehotel is) or to Abisko (my first choice). Kiruna itself isn’t the most picturesque town, but does have a large selection of hotels, and many activities. My recommendation here if you’re not planning on staying in Abisko, is to head out to the Ice Hotel which is just a 15-20min taxi/drive from Kiruna. Alternately you could stay in Kiruna and take nightly tours out to see the lights. But that will prove more expensive. 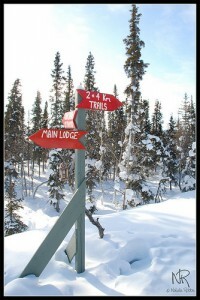 Pros – Good base, lots of activities leave from Kiruna, plenty of hotel selection. Easy access to Abisko and Ice Hotel. Cons – Kiruna is a relatively large city and suffers from moderate light pollution, so you’d need to find a darker spot, either by tours, or renting a car and driving outside the city. It’s almost a little painful for me to place Tromso 4th on the list. Tromso as far as cities go is an absolute gem. It is a gorgeous city nestled in the Arctic North. I’ve been there 4 times and loved it just as much as the time before. Some call it the Paris of the North and this title is well deserved. It is a beautiful, bustling town with every possible amenity you could think of. Restaurants, hotels, pubs, cinemas, shopping malls the lot. The Clarion Collection hotel is a lovely nautical themed hotel (ask for a room with a view of the harbour they’re wonderful). Very fairly priced, good food, and free chocolate waffles and coffee all day are a real plus when you return from the cold. My personal reservation with Tromso is twofold, it is the largest Arctic city I have visited, so has the worst light pollution. It is also a coastal town, and close to the Gulf Stream, therefore temperatures are milder than you would expect, but as a result suffers more from cloudy skies. You would likely need to drive outside the city limits to find darker skies, and further inland if cloudy, to find clearer skies (along the E8). Alternately you could take nightly tours outside the city of which there are many. But I personally have had great success with Kjetil Skogli, a local photographer and Aurora hunter who also works tirelessly to find clear skies and Auroras if it’s at all possible. He drove us 3 hours out to Skibotn where I was treated to one of the best displays I’ve ever seen, despite a snow storm back in Tromso. Pros – Beautiful city, all amenities, numerous tours and tourist activities, good Aurora guides. I’ve placed Yellowknife 5th on my list mostly because it’s across the pond from me 😉 So for us Europeans perhaps it’s slightly more out of reach, but for all of you over on the other side of the Atlantic I can’t say enough good things about this place, in particular the Blachford Lake Lodge which is where I spent my 5 nights in Yellowknife. The lodge is on its own private plot of land and is accessible only by Bush plane, but oh my was it worth it! The landscape is absolutely astonishing. So beautiful and desolate at the same time, with wonderful safe forest trails surrounding the property. The lodge itself is top notch and has all the luxurious commodities you would need. The Chef is professionally trained and apart from the Abisko Mountain Lodge, I don’t remember the last time I’ve eaten better! Pros – Amazing location with stunning scenery, private (no chance of overcrowding tourists), food to die for. Cons – Hard to get to, no roads so you’re completely at the mercy of the weather. Another common question is from people wanting to know whether they can see the Aurora Borealis from a little further south. This is entirely possible to a certain extent. I mentioned earlier that a good location for Northern Lights viewing was approximately North of 63/64 Corrected Geomagnetic Latitude, and in my opinion it is if you want to see the Aurora as brightly as possible, in all its glory, directly above you. (Personally I prefer to be bang underneath it at 65-67 Corrected Geomagnetic Latitude). But this isn’t to say it’s not possible to see the Aurora to a different degree further south. The general rule of thumb is that the further south you are from the Auroral band, the further North, and the lower, the Aurora will appear on the horizon. Keep travelling going South and eventually it dips beneath the horizon and we can no longer see it. So how can you know if its possible for you to see it from your location? Roughly look at the location in question, and then see where you’re positioned relative to the coloured lines in the image. These are the KP Index lines. They roughly tell you what KP Activity number the Aurora needs to have, for you to be able to see it at the location in question. The current KP Activity index can be seen here. How many nights do I need to stay to see the Northern Lights? The more the better! This is a little obvious, but really I always say the same thing. For most people trips to the Arctic Circle are a rarety, and expensive. All things considered I feel that since we’re going through the effort to travel so far, we might as well give ourselves the best shot! I strongly advise anyone that is serious about wanting to see the Aurora, to stay ATLEAST 3-4 nights. More really is better. There may be activity, but cloudy skies, or clear skies, and no activity, so stay as long as is possible. According to the scientists in Kiruna, Sweden, you have about an 80% of seeing the auroras if you stay in the area for at least 3 days. This is likely too for any destination at similar latitudes (like those listed above). I tend to spend between 5 and 7 days in any one location, and I’ve had a lot of success with this timeframe. Can you actually see the Northern lights with the naked eye? Or is it all camera trickery? The definite answer is YES! Yes you absolutely can see the Aurora with the naked eye. You can more than see it, when it’s active enough it’s so bright, intense and fast that your eyes won’t be able to keep up! You’ll want to stop time just to take it all in. The problem is, there’s a common misconception that because Aurora photography can sometimes use long exposures to enhance the Aurora’s, that this is infact untrue to life, and it isn’t. When the Aurora borealis is weak, long term exposure photography is handy because it allows the camera to capture light over time, and as result you get a nice green band in your photos, much brighter than perhaps you can see yourself. But this is just because the Aurora is weak. Infact it may appear to you (when your eyes have fully adjusted to the dark) as a pale green/ almost white band of light in the sky, immobile, and very faint. SO much so that you might think to yourself, is that it? Is that the famous Aurora Borealis? Take the two shots below as examples, the left shot was a 2 second exposure, the right an 18 second exposure! The left hand picture looks almost identical to the naked eye as the photo, whereas the right hand picture really looks nothing like it did in real life and infact appeared to me as a very VERY faint, and pale band in the sky. Just remember, photos with short exposures are more true to life, longer exposures enhance what we see. It’s important to note, the Aurora Borealis is present in a great variety of intensities, from it’s lackluster weaker form, to it’s in your face, vibrant, dancing from one side of the sky to another in 2 seconds flat form. The latter will literally take your breath away, so much so the camera might be the last thing on your mind. You will just want to stare and take it all in. Below is some video footage I captured of the Northern Lights in Yellowknife, Canada back in March 2008. I’ve sped it up quite a bit as the display was over 2 hours long! But rest assured the movement is very fast at normal speed too! Apologies for the grain, it’s actually read video footage, not time lapse images. Short answer, not much. I used to be put off by the Full Moon, and always booked my Aurora hunting trips around the New or Crescent Moon, but there really is no need for this and it really limited the times I could travel! I guess what it boils down to is preference, and for us photographers what it is you’re after from your shots. If you want a nicely lit landscape, the Half to Full Moons actually help us out (as long as the Aurora is of moderate activity). If you want more of a Star-field, or want to capture the Milky Way and the Aurora Borealis, then plan your travels around a New or Crescent Moons as the moonlight does obscure the star field. The most common colour of the Aurora Borealis is shades of green. Different colours start to appear depending on what elements are interacting with our Earth’s magnetic field. As the Solar Wind becomes trapped in our Magnetic Field at the poles, the solar particles collide with atoms and ions in our atmosphere and become ‘excited’. It is the settling down of this excited state that results in the emission of ‘light’. If the excited particles in question are Oxygen, we typically see the green/yellow light, however, if the Oxygen particles are at very high altitudes, a more seldom seen Red light colour is emitted at the top of the Aurora. If it’s Nitrogen particles, we are more likely to see a blueish tinge to the Aurora. Purples, whites, blues occur often in coronas (coronas appear as almost spindle looking shapes directly above, as if reaching directly down to you), but overall green is the most common =) There isn’t a geographical place where specific colours occur, its all totally random and depends on the activity of the Auroral oval over different parts of the world. The truth is, predicting the Northern Lights is a tricky business and there’s never an absolute guarantee. Predictions are always most reliable the closer we are to the dates in question (much like the weather). SWPC KP Model – The Kp model is an indication of fluctuations in the horizontal component of our geomagnetic field, also referred to as the Kp value over a 3 hour period. Kp values of 3+ are considered to be conducive to Geomagnetic storms and more intense Auroras. However, Kp’s as low as 1/2 can sometimes spark some wonderful Auroras, especially if you’re situated directly underneath the Auroral band. This is because there could be isolated substorms that do not last for a long enough period to register as a high Kp number, so the average will be lower. Longterm forecasts tend to be unreliable, but there are ways to see what potential long term activity COULD be. There is a method known as the Carrington rotation (you can see an example of this on the Gedds page) which is based on the Suns rotation pattern. The Sun fully rotates on its own axis every 27 days. If there is an active Sunspot that is causing Solar Flares or CME’s, there’s a chance that 27 days later, that same Sunspot could still be there and could dish out similar levels of activity. The problem with longterm forecasts, is that Sunspots decay and die, and their activity wanes. So the Carrington rotation is not always reliable, and when the Sun rotates completely and is facing the Earth again, a particular Sunspot might not be there anymore. Aurora Borealis activity is never guaranteed, unfortunately it’s a little like playing the lottery. Many people are blessed with days of fantastic displays, while others leave their holiday destinations only to hear of Auroras the day they left. (Personal experience! Very frustrating). All photographic images and written content are copyright protected and are the property of Natalia Robba. If you’d like to order some prints, use my photographs, or republish my written content, please email me at natalia.robba@gmail.com to request permission. We’ll be in Iceland for a week next month, and seeing the Lights is one of our main goals. Your information is very useful, and your information on photographing the display is just what I needed. Fairbanks is a great place to see the lights too very well positioned under the oval, I was very close to visiting there when I went to Yellowknife but ended up just visiting the one place. To be honest, this years Solar max is taking people by surprise in that it’s peaking very slowly, and has taken longer to get here. I believe we’re only now starting to approach solar max. 2014 will be a great year, so will 2015! There is always a period of a few years after solar max when Auroras are great so don’t worry =) It won’t start to drop till approx 2016 in my opinion. I will be planning trips for 2014 too. Best of luck! Thinking of going to Iceland early February 2016. Will it be too late or are we still in the solar max? Thanks! Hi, thanks for all the great information. And gorgeous photos! We are going to Finland and Norway in March so are very excited and looking forward hopefully to seeing the lights. We want to photograph them and have just started out learning all the tips on how to do it best. Lots to learn! We are doing a blog along the way so others can join in our excitement and hopefully the lights when we find them! If it helps I will be releasing a new blog post on Aurora Borealis Photography in a few days =) I will most certainly follow your blog. Let me know how it goes please! Excellent post, Natalia. Love your page! We are going on our first Aurora trip this year, just cross the fingers! We’ll be staying in Abisko from Feb 27 to Mar 1st. So maybe we’ll see you there!? Hi Andreas! Thanks so much for reading my blog =) That’s so funny! Are you staying at the Abisko Mountain Lodge? I’ll be there from February 25th – March 2nd =) Small world ay? Indeed! We’ll be staying at the Abisko Fjällturer Hostel which should be super close to the Mountain Lodge! Hope to see you there! Hehe right around the corner then! I’m sure we will see each other then 🙂 Do you have Facebook? Best info I’ve ever read, easily digestible and wonderful photos, thank you so much. Last Feb visited Tromso- Kirkenes and saw the lights x 2. Going again end of Feb/March, and feel so much better prepared! Will be following you regularly and enjoy your upcoming visit. Feb/March is always my favourite time to see the Aurora best of luck to you Sue! Please keep in touch I’d love to hear how it goes. I will definitely post about my upcoming visit to Abisko. I was thinking about going to Fairbanks this March and then came across your blog. The kp values in 2013 don’t seem so impressive although this year is claimed o be a good year. Do you think I will be better off to go in 2014? Thanks for the good work and keep posting please. Thanks for the info, especially about moon concerns. I was panicking that we might have our trip ruined because we’ll be there (Iceland) between a half to full moon, but it sounds like you think we should try it anyway? Its our spring break week, only chance for us to go. We’re not photographers, just want to see it with the naked eye… but hopefully your advice on not to worry too much about the moon brightness applies to us as well? Definitely go for it! Don’t let the moon put you off at all. To be perfectly honest if the full moon was interfering with the Auroras, you’re probably not looking at a very exciting display =) So please don’t let the moon dictate travel plans. Even as a non photographer the full moon does such wonderful things to the landscape it’s so beautiful. Also, there’s also the chance the moon may have set so you won’t see it. Depends on the dates =) I can check that out for you if you let me know where you’re heading and when? Thanks for taking a closer look, appreciate your point that the moon will be west, while we look north. A few weeks to go, will let you know how we do! I promised you (and other readers) an update on how our viewing went in Iceland in March. We were generally extremely lucky — had one terrific night of viewing (clear skies and a “4” on the activity scale) and then a lesser night that was still fun. That is out of a total of 6 nights of searching. Of the other nights, 2 were too cloudy and 2 had no activity (or a combo of both). The full moon was somewhat annoying, I have to admit. We were lucky we got the night of a “4”, I have a feeling the lesser of our nights would have been better if it had been darker. It did light up the foreground nicely, as you mentioned, but after a while we had enough of that 🙂 So, I would say that it was definitely worth going for and we had a great experience (and loved Iceland, too), readers should be aware of that moon issue if they can avoid it. All in all a terrific and memorable experience. Although you might need more time and patience for viewing in Iceland, because of the cloud cover, I highly recommend it as an overall destination. Thanks for such great/in-depth information!!. We are planning a trip to Iceland around 2nd week of March. I see Iceland is not in your recommendation list of top five places. Is it because you have not explored the region yet or you have researched and do not think there are chances of viewing the Aurora Borealis in Iceland? Iceland so exciting! I would absolutely love to go there, the reason it’s not in my list is because I haven’t been there myself =) So can’t personally recommend it. What has stopped me from going so far is the warmer temps/higher incidence of cloud cover, however that being said, it surely is one of the most spectacular landscapes to witness the Aurora Borealis from =) So I will make the trip there! Dear Natalia, another compliment into your bank for the clear and useful information. My wife and I are making a trip to Iceland from Mar 26 to April 5. Seeing the Aurora has been like dreamed spectacle. Originally, we planned to go to Sweden/Norway but later changed our mind as there is hardly any daylight hours during the winter months of Feb/Mar. We are from Singapore and are used to 12-hr bright sunshine all year round. Spending a week without sunlight is a bit challenging for us. Therefore, we decided on Iceland as there is fair amount of sunlight in Mar/Aprl and also aurora opportunities. If we don’t see the Aurora this trip, will certainly consider the cold and dark winter in Sweden/Norway next year… any of your insightful thoughts? Many thanks. Are you back from Iceland? Seen the Aurora? Any specific advice for Iceland? Thanks. Thank you very much for reading my blog! =) Iceland is a beautiful part of the world and I’m sure you will have an amazing time. Hopefully you will have some clear skies. March is a fantastic time to try and catch the lights (April too). Bear in mind though for future reference, March in Northern scandinavia is not too bad with regards hours of daylight =) Currently sitting in Abisko in Northern Sweden and we have a good 9-10 hours of daylight here at the moment (28th Feb) so don’t let that put you off too much. I would love to hear how it goes so please keep me updated, where there’s clear skies there’s always the chance of Auroras =) Best of luck to you! After some research and considering the main purrose of our trip we changed our plans to go to Iceland and are now going to Tromso, Norway (March 11th-19th) for better chances of catching the show!! Iceland has too many interesting sights which I did not want to miss because of the weather and road conditions around this time of the year. Particularly, found Askja (the lunar landscape) a very interesting place which is impossible to visit in the winter. Howerer, cant wait to hear from you about your trip to Iceland! Hopefull can make it there soon myself! Thank you all for the encouraging comments. Hopefully, the trip will end up a bright one… by strong Aurora lights! Haha. Will detail our Iceland trip soonest. If we can’t catch the lights there, I will certainly consider Abisko next year which frankly, was not in my earlier consideration. Thanks again, Natalia. Excellent you were leaving for Iceland second week of March right? Aurora activity is great at the moment! What a fantastic time to go. Can’t wait to hear news. 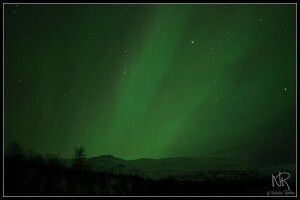 I have just returned from Abisko where we saw some fantastic lights on our last night! Very lucky. Cloud cover dominated the skies all week prior so very happy to come back with more shots. Hi I’m just in the middle of trying to arrange a trip to Iceland in November. I’m a little worried as I really want to see the lights. The impression I get is that Spring ( March time is better). Am I right? Your site is wonderful! Love the photo’s. Hi Gwyneth. Although Spring and Autumn equinoxes show elevated activity levels, this does not mean you can’t see the Aurora outside of these times =) Quite the contrary the largest display I ever witnessed was December 10th 2008. It’s a general rule of thumb to stick to equinoxes but the surrounding months should definitely not be excluded =) The most important thing for Iceland is getting some clear skies. Having said that, if you only had one opportunity to go I would probably go for Sept/Oct or Feb/Mar, but if November is best then go for it! =) Thanks so much for visiting blog I’m glad you like the site 🙂 Put a lot of work into it. Keep me updated I’d love to hear what you decide! So far I haven’t run into any problems but I’m aware of others that are not just with written content but photography. It’s such a shame that we can’t count on peoples integrity anymore. I just try and make sure I copyright my images as best I can, and copyright my written content. There really isn’t anything more you can do but contact anyone that has infringed the trademark and either ask for payment, or for removal of the content. Best of luck! Looks like we missed each other by 2 months in 2012 as I was on Andy’s Jan 22-24 group (actually, it was Mark, not Andy as Andy got more people than he could handle! 😛 ) and that was the most amazing 3 nights of my life! I wrote this comment because I am fascinated by the video footage of live aurora that you have posted. Could I get more details on how you managed to do that? Aw that’s a shame! Heh I can well imagine he was swamped when I arrived too 🙂 I was there for a week from March 1st I believe it was. Isn’t Ivalo a stunning place? Such little light pollution too it’s fantastic. Did you manage to see the Aurora Adele? Thanks for comments about my Northern Lights video 🙂 I’m still in the process of returning footage to real time and adding music. I purchased the Canon XH A1 as it was one of the few cameras out at the time that worked well under low light conditions. Really happy with results! Shame I moved around so much hah! Thank you so much for the information! It is so helpful and really good to hear from a photographer who has been and seen it all. I am organising a trip to see the Northern Lights for my husband (his birthday) (he is also a photographer and this has been something that he has wanted to do for a while). I just want to say “Thank You”. So far I have been looking at Iceland but I am now thinking of changing to Finland or Sweden. If the Northern Lights is his first priority I would certainly recommend northern Scandinavia over Iceland, in particular inland Sweden and Finland, however Iceland’s landscapes are apparently breathtaking! (I’m soon to find out firsthand!) So any Aurorae there would be a super bonus! Of course you can see the lights there too, but being notorious for its milder climates makes it a riskier choice for me if the Northern Lights is your top priority. PS – Lovely wedding photos! Thank you for your quick response! Yes, it is indeed weird to be writing to another Natalia – it is rare that I meet one. Northern Lights is indeed his first priority so I think that I will look at Sweden or Finland. Are there are particular spots that you can recommend (or are the ones listed above the best?). Both Spencer and I are very committed and would be prepared to wait for a while. We went to Russia a couple of years ago and I nearly froze my toes off but we did get some amazing landscape images! Thank you for your kind comment. Spencer is always rather critical of his own work but we are looking at may be putting some of his landscapes on a separate website. Our ideal aim would be to open a gallery here, so we are working towards that. Thank you SO much for the opportunity to email you. I’m planning/have the opportunity on being in Iceland for late August early September 2013. Aurora finding the main priority. Any advice? Will this suits. What favorite spots do you recommend. I’ll be travelling on my own. Know anyone else passionate who is heading there too at this time? I’m okay with travelling alone (I think!) Yet Iceland at that time of the year perhaps a different story?? Any advice too as to how safe, sensible this is etc. Would most appreciate any and all advice you may be able to fashion. Will be most hugely grateful! Thanks for reading my blog! Unfortunately I can’t myself offer very specific advice about Iceland, I will be visiting myself in September 2013 and it will be my first time there! The best advice I could give is to stay somewhere outside of Reykjavik so you aren’t affected by light pollution, and to try and stay for at least 4/5 nights to account for the possibility of cloudy weather. Aside from that, the Sun has really kicked it up a notch with activity lately and hopefully this will carry on into 2014!! Fingers crossed for both of us right =D Let me know if you make it there in September might even cross paths 🙂 I’ll be staying in Hotel Ranga. Just stick to common sense really with regards travelling alone 🙂 I have done so to Northern Finland and most of the time there is absolutely nothing to worry about, just keep your wits about you if you’re out alone during the dark, stay close to your vehicle and always have your mobile on you. The roads tend to be pretty well maintained, prepare yourself with emergency numbers like roadside assistance and other services. I am sure you will be perfectly safe 🙂 But always good to be prepared. Another idea might be to take tours instead of driving yourself alone out into the darker areas. I am planning a trip to Iceland for the Northern Light. I got a bit headache to decide whether i should go in Sept/Oct or Fen/Mar. And as i know 2013 is the peak of solar activity, would you recommend to go in Oct this year? Hi Stephanie 🙂 Thanks for reading my blog! To be honest both September/October and Feb/march are fantastic times to go. We are pretty much at solar max now, and rumoured magnetic reversal of the Sun seems to confirm this so this is really as good a time as any to go! The weather will be a little warmer in September/October which might make it more pleasant. Feb/March will be a little colder. Really comes down to preference =) Hopefully the weather will be kind and give you clear skies. Aim for atleast 4/5 nights. I was planning a trip to Iceland and came across your blog. I have heard that 2013 will have more intensed solar activity than 2014.
would you recommend to go this year or you think that it wont matter much? 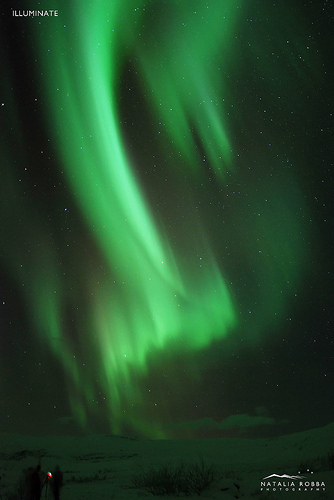 Do you know which month will have the greatest chance to see the northern light in Iceland, from september to april? thank you so much for reading my message. My wife and I would like to try and see the lights in Australia in February 14′. Any suggestions for places ‘down under’ to begin our research? Thanks for a great site and info! Tasmania is the place to go, but it’s needed a strong aurora to have a chance to see it there, so I’d not waste my time chasing the Aurora in down under country IMHO, too far from Aurora Oval, Never say Never but you need to be very very lucky. Sorry for the late reply =) Work’s been horrid lately! February 2014 is a great time to see the lights, we’re in solar max at the moment so it’s as good a time as any! I’d second Tasmania, if you can get to Invercargill in New Zealand that would be great too! Activity is very high at the moment with lots of Aurora Borealis and Australia extended into further latitudes than normal. Thanks for reading and for your compliments! Much appreciated =) Would love to hear how it goes. Congrats for your blog and for your achievement with Aurora. This post is by far the most informative, detailed yet easy to read that I’ve ever found on the Net over the years. Wow. The sections where you talks about IMF with south orientation is a must, there’s no needed to be a Solar Astronomer to talk about the most important obstacle, after the clouds 🙂 of course , to see the Aurora, notwithstanding I’ve never read about this in all the other “guide” . Maybe you can add a little more information about sunrise/sunset time about the locations that you prefer, not everybody know the fact that in dec/jan in North Noway/Sweden/Finland the sun can never rise over the horizon. About Iceland , an amazing place to visit on his own, have you went there last Feb/Mar ? have you seen the aurora ? Iceland is a very cloudy country, even more in the southwest(Reykjavik) area or the South. A little bit better is the central north ,just east of Akureyri or north east, but in winter these place are too much desolate and open to be hit by winter storms where you can be hindered for few days. How about the Probability to see it ? If I have see the Aurora already and want to see it again, near the top, even more if I want to go around New Years’ Day when there’re 4 hours of light Vs 2 hours of twilight like in Tromso/Kiruna/lapland. For the very fist time ? The chance are against you. The Clouds are low and persistent, there’s a permanet low pressure system south of iceland, there’s a saying that says ‘There’re more radio stations in Reykjavik that clear days, and they’re 3″‘. I’d take my chance in lapland if I’m in Europe, or in Alaska if I’m in America. Iceland has long been on my list of places to visit to see the Aurora but as you rightly state in my opinion it is not a good place to see the Northern Lights. Ofcourse you can see them to a spectacular degree, but I feel the odds are more against you there than they are in Northern Scandinavia, especially when you can only travel to these places for minimal periods. I will be visiting Iceland soon though as the landscapes are stunning, the Aurora will be a bonus for me there, but I will be more than happy to capture Iceland’s beauty. Thanks for the suggestion regarding adding more info on sunrise/sunset times that’s a great idea! I’ll edit the post. Best of luck with your Aurora Hunting! Thank you for the great insight about the Northern Lights. Me and my partner get married this november. We decided to ditch the cliched destinations and decided to chase the northern lights as a part of her honeymoon. I read there isn’t any bad time , but what our the chances of viewing it in early December 2013? your insight would be really helpful to make my vacation most memorable. thank you in advance. You’re welcome! Thanks for reading. Northern Lights hunting is a great way to spend a honeymoon in my opinion 😉 Few things more romantic than snow peaked mountains, blanket of stars and the Northern Lights dancing overhead. At the moment we’re in solar max so there isn’t really a bad time with regards activity. It’s more about weather and cloud cover. December 2013 is good, should be pretty cold by then and hopefully the weather will stabilize a little. Colder temps are preferred as they tend to bring more stable weather and with it clear skies. The later into December the better I’d say. Thank you very much for the great blog, which is the most informative respository about nothern lights for layman like me I have found. My wife and I are planning a trip to see northern lights in early September, and we are swinging between Iceland and Kiruna. For Iceland, I am fully aware that Reykjavik or nearby is not that good because of the higher chance of cloud cover, but I am prepared to go north to Akureyri to take chance, where the average precipitation is only half of that in Reykjavik according to information on the web. On the other hand, I’ve read that Kiruna / Abisko will offer a higher chance of seeing northern light because of its drier climate. But I’ve also learned somewhere from the web that September is not that good for seeing northern lights in Kiruna and Abisko because also of their more humid weather in September. Is that true? What would you suggest? Iceland or Kiruna? This will be our first time attempting to see northern lights and we are from Hong Kong – Going to Iceland or Northern Sweden may be at most one time in a decade. Would you risk (cost, etc) of Christmas or new year’s in Iceland for catching the lights? Suggestions? Thanks So much for your intense pursuit! I’m probably not the most sensible person to ask haha! I would always risk it =D But it does depend on how long you are going to stay. If you’ll be spending to get over there I would suggest you make it worth your while and stay atleast 4 nights. It’s likely you’ll encounter cloudy skies, but all you need are small clearings to see the lights so keep an eye on the local weather forecast. Some tour guides offer driving tours where they drive around for upto 3-4 hours in any direction to find clear skies (this is how I saw the Aurora for the first time back in 2007). Any other questions just ask =) But I would go for it yes. I am heading to Iceland Jan 26-30, 2014. Barring clouds, should it be a good time to see the Aurora? I also wanted to let you know too that I grew up in northern North Dakota and saw the lights alot growing up. Then the end of July 2009, we saw them, just for a short time, but they were there. Can’t wait to here what you have to say about Iceland when you go…. Hi Natalia, watching Northern Light is one of my life time dreams. I read yr blogs and envy you! I am determined to see it this winter. Originally I was thinking about going to Iceland. After reading yr recommendation, I wanted to head one of the destinations you suggested. Can you give me an estimate cost of each destination (I don’t need to be in a fancy hotel)? I know I can get a relatively “cheap” flight to Scandinavia countries winter time from NY. It would be helpful to know the daily cost of each destination. Thank you in advance. Thanks for your helpful info. However, too much info and i’m not decidede where is the best place to see the northern light. I was thinking to go by end of Dec towards the mid Jan’14. But not sure where is the place to go? Apart from seeing the northern light, i was thinking to do some sight-seeing in the winter (not sure if this is possible)? Would appreciate if you could give me some good advises. To those that want to see and experience the lights consider your location carefully. If it’s not your first time Aurora hunting you will know that the weather is not always your friend. I know plenty of people that have taken holiday’s to places like Iceland only to have cloud cover for the whole holiday, during the winter Iceland can have 80-90% cloud cover for some months. You can take a trip to anywhere in the Aurora belt and be tottery scuppered by the weather. However there is a tiny village hidden inside Sweden‘s arctic circle, Abisko. It’s one of the last settlements before you cross the border into Norway, Abisko is known as the blue spot of Scandinavia. Because of the location and geography Abisko is one of the driest places to see the lights in Europe. Only a few miles away, near the Norwegian border, is one of the wettest. For a host of information about the Aurora Borealis and Abisko go to http://www.howtoseethenorthernlights.com Also make sure you book yourself on plenty of activates in case the lights aren’t playing ball. Some of the best Northern light hoildays I have been on have been because of the adventures, dog sledging, ice fishing or a day on a snow mobile. What a wonderful write up. So much useful information all in one place. I’m considering between Ruka (more south of Ivalo) and Saariselka (closer to Ivalo) in Finland for Mid March 2014. Does it mean that the further north I go, the chance of seeing the lights will be higher? 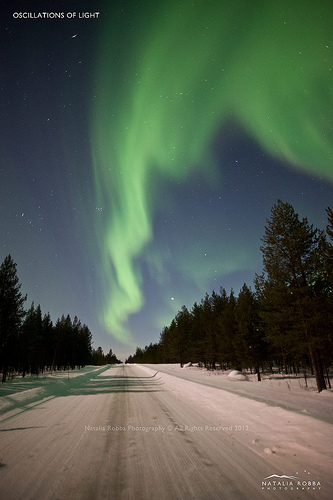 I’m planning to go see the Northern Lights in March 2014 with a couple of friends. I’m not sure which place though (Finland, Sweden, or Norway). Are the 5 places listed in your blog in order of preference? So is Finland the best option? 2) going with a tour operator, such as Nordic Visitor, who take care of all transportation (domestic flights and a 2-night boat ride) and accommodation, transfers, etc. This option might be more expensive. I’m willing to pay some additional money for a tour operator (as long as it is not way much more expensive than the first option). I am thinking of going to Reykjavik to see the Northern lights at the end of Feb. What is you opinion on the chances of seeing the NL? Great blog! loved reading through it. Let me ask you a question. Where in Europe and which month would you select as the best, to witness the beautiful aurora? I am currently in Germany and unfortunately, this would be my last winter here. So I really need to use the best chance that I can possibly have to see the aurora for myself. Please help me out. Thanks! Thank you for the info. It was really very interesting. I am currently in Germany. I would like to ask you, which place in Europe and which month would be the best to see the aurora? This winter, unfortunately will be my last in Europe. So I really need to boost up my chances and find the best possible time and place to witness this natural beauty. Please help me out. Thanks! Do you have any comment about the upcoming switch in polarity in the sun’s magnetic field and what impact that would have on seeing the Northern Lights? I will be going to Fairbanks December 24 to 28th and am hoping this event will make things more active. Love your website and all the info. I am going to Iceland with my family around Christmas and New Years and will mostly be in the north – where the cloud cover will hopefully be minimal. Keeping my fingers crossed for some Northern Lights sightings, but am planning lots of other activities to keep us busy. Am anxiously awaiting info from your recent trip to Iceland …. you should be back by now, right? Your page is awesome, it has opened my eyes to where I can go and have the best chances of seeing the lights! But however everyone mentions sep/ mar etc but however I do not really get holidays until Christmas time, is that too late in the year ( noting that it will be extremely cold )? If its not too late where would be a good spot for a chance to see them? Amazing blog…I just fell in love with the aurora and my love went deep after reading your blog. I wish I too would get a chance to see it once in my life. I am from India, never travelled abroad, but I will surely soon to see the northern lights. I will…. Your pics are amazing. I appreciate it a lot. I’m looking to do a combined skiing and northern lights trip towards the end of april. Is this too late for the northern lights? Can you go skiing in Abisko? You have amazing and lovely landscape work! I loved your write-up of the Aurora. I’m a bit of an aurora nut myself, having seen photos in Joyce Robbins’ book “Natural Wonders of the World”, interestingly enough the same book that prompted me to become a landscape photographer. I’ve managed, badly I might add, to capture the Australis along the coast near where I live in Southern Victoria, Australia during an x-class flare in May last year. More recently I spent 2 weeks in Levi, Finnish Lapland near Kittila madly chasing the lights, only to be cursed by heavy cloud cover, rain and heavy snow for the whole time I was there, bar one night where we saw a fait glow on the horizon. I’ve decided to head North again and try for the lights one more time before the solar activity wanes completely, perhaps in March 2015. Finland is a good base of operations for my partner and I as her sister lives just outside of Helsinki. I was googling locations last night and came across your blog. Saariselka, which is marginally south of Ivalo seemed good as we can get cheap accommodation there and you rate Ivalo highly. I was also looking at Kilpisjarvi near the Swedish border, and briefly looked at heading over to Abisko in Sweden, but it seems to be booked out for the next 2 years, and the one room available was well outside my budget, so that’s out. I also noticed that you mentioned the weather settles after December, which I’d never heard before. What I’d asking is you’d suggest Ivalo, which was my 2nd choice after Abisko, would the surrounding areas, such as Saariselka get similar weather conditions? Levi was incredibly unpredictable at times, having heavy snow at our cabin and clear skies 2km away in town during the day. Have you ever been to Kilpisjarvi or the surrounds? I hear very good things. I know this is a late reply, hopefully it reaches you =) Thank you for very much for your kind words. I’m in Malangen in Norway at the moment and have also been plagued with cloud cover. Today the skies are clear but there isn’t much happening in terms of Solar Activity but fingers crossed perhaps well get a bonus substorm. I would strongly recommend Ivalo as a base for your Aurora hunting. Finland is always my first choice as weather tends to be colder and more stable. There is also lower light pollution than the Norwegian and Swedish cities as similar latitude. Kilpisjarvi is also a good location and I can recommend it too, but perhaps a little harder to get to as you will need to drive out. As a location though it will be just as good =) Weather wise, its really all luck of the draw, but generally speaking I go for January to early March. Any later and it can start warming up the the clouds become more prevalant, November December for me also has been on average more cloudy. Keep me updated I’d love to hear how it goes. So it’s taken over a year, but I’m headed back to the Arctic in January of 2016 with fellow Aussie David Evans and Lapland native Peter Rosen. It’s hard to get that far from Australia when you work full time, so I need to make it count (not that I didn’t on the ill-fated 2013/2014 trip). Hi, would one be able to catch the Northern Lights from early – mid August? Seems that the best period is between sept – march. Really hope to catch it when I’m there. While you can see the Northern Lights in August, your viewing window will be smaller than it would be in September, just due to fewer hours of darkness. You can ofcourse still see them though even when it is not totally dark, they just have to be that little bit brighter to stand out. Where are you going Deb and when? Today in a months time my husband and I will be in Tromso for 4 nights! (21 to 25 March) All the way from South Africa! I hope the conditions will be great!? Some of the tour guides are already fully booked, but I am still searching……. We will in any event rent a car and drive out on the E8 as you have suggested. Thank you for all the information! Where are you going to this year to see the lights? Hi Natalia really enjoyed reading your blog. I am heading to Karesuando on 27th February 14 for 7 nights, do you think I might get lucky with a sighting g?? Thanks for visiting my blog. 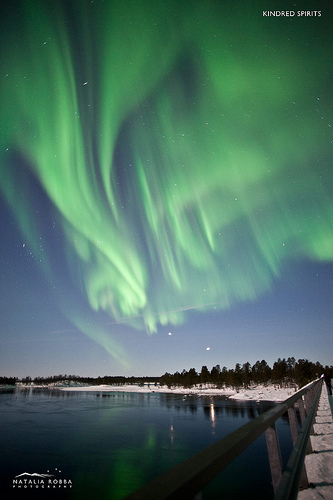 7 nights is an excellent amount of time to try and see the Northern Lights and Karesuando places you well to see them. 7 nights should give you a very good chance of some clear skies, and Aurora activity has been fantastic as of late. It is a little too soon unfortunately to say with certainty whether activity will be high, but, it has been great for several weeks now with no signs of relenting. There was a major X Flare in the early hours of this morning, very big flare! But it isn’t certain that it has an Earth directed trajectory yet, if it does it could weaken our magnetic field allowing for Aurorae from the solar wind. However still waiting to hear how much of this flare will strike us. Just an update. The X flare is not a direct hit but will weaken the Geomagnetic field from 27th – 1st March roughly. So any solar streams or incoming CME’s will be intensified over the coming days. Fingers crossed =) Keep us updated. Thank you so much for your reply. We were lucky on Friday 28th and got some good photographs of the aurora. There was activity again tonight but not as distinct due to cloud cover. We have been told that tomorrow night is forecast to be a good showing. This is the first time I have looked for the lights and wasn’t sure what I would see with the naked eye, it certainly wasn’t what I had expected as all I have seen were obviously photographic representations. Hi again Liz 🙂 I’m glad to got to see some form of the Aurora. I am heading to Malangen tomorrow for 5 days, but it looks like clouds will be there waiting for me too hah =) Perhaps I will need to drive inland to find clear skies. Please remember though that the Northern Lights vary greatly in intensity. When they are very active they do not fail to impress, infact a very active aurora display is one of the most beautiful things I’ve ever witnessed. But more often than not, it is light to moderate and people are able to exaggerate their brightness with long exposure photography. Hi, we have just spent a few days in Norway to see the Lights. We arrived on 1st March in Tromso and were taken out that evening and did see the lights, however, i was a bit dissapointed as what I have seen, has only been in magazines, the lights were WHITE. I was waiting for this phenomena to happen, but alas. Only when we started photographing, did the colours show up on the camera. Three days later we boarded the Hurtigruten to Kirkenes, and again, the lights appeared – in WHITE again. If you looked carefully you might see some colour. Please help me…..is this normal????? you’re very welcome Catherine =) I am glad you got to see some form of the lights atleast. I have just returned from Malangen and we did see some lights, and a little movement but I was hoping for more. The very next day after we left there was some wonderful activity, but that happens =) Planning my next trip to Finland now! Will stay a little longer this time. Thank you so much for such an interesting and informative site. I am currently planning a trip to see the Northern Lights next year (probably Feb/March). I was pretty much sold on the idea of going to Tromso, but after reading your blog, I might have a re-think and plan to go to Ivalo, Finland instead. One of my hobbies is photography, so your advice on that score will be so useful. Just looking at your photos is so inspiring and makes me want to go even more – can’t wait! If I had to choose between Tromso and Ivalo I would definitely go for Ivalo. Tromso is a beautiful city, with plenty to do, but its coastal location and heavy light pollution can be inconvenient if your main purpose is Aurora Hunting. Ivalo is a wonderful little town with lower light pollution, and being based further inland means weather tends to be colder and consequently I’ve found it means clearer skies more often. Feel free to check out my other post on Photographing the Northern Lights. Glad I have been able to inspire =) That is really all I want to do. Thrilled you got to see the lights and see them properly! So many people just see snippets, so it’s lovely when people can really see them coming alive and dancing. Haha smiling as I’m reading this =) Very happy my advice helped out. Haha I doubt they remember me at Hotel Ivalo =D lovely place though. Isn’t the back of the hotel by the lake fantastic?? I saw some fantastic lights right there. So glad you enjoyed your trip =) Planning anymore? Planning my next trip to Finland for February 2015, and possibly sneak in a short trip to Iceland in October 2014. I feel so lucky to have stumbled upon your blog! Loved your writing and pictures! Are you still planning a trip to Iceland this October? My husband and I visited iceland a month ago and fell in love with the country… thinking of returning this fall and would love to see Aurora. Do you have any updates as to this season’s forecast? I think you said you were planning to stay at the Ranga Hotel? It looks wonderful! Thanks in advance for any Iceland pointers/updates! Thanks so much for visiting my blog and glad you liked it =) Sorry for such a late reply, personal life has been crazy last few months! Unfortunately won’t be visiting Iceland this year but instead planning a trip to Finland in February, namely Nellim =) Have you ever visited Finland for the lights? Thank you sharing wonderful blog. I am planning to visit Saariselka, Finland in the month of march. I have a keen interest in Photography. I have Nikkon D5100 and Nikkon Len 50mm F1.8G. Is these equipments are sufficient for capturing northern lights under Igloo Cabins? Thank in advance for reply. Sorry I just jumped in the middle and don’t even know if this mail will reach you. But I’ll finish it anyway. I am raking my brains and working v. v. hard A. to book a hotel in Alto, No and B. then the flight from JFK. Trying to view the Lights in Alta. So I leave JFK on March 13th or March 20th to Oslo then connect to Alta. I may be too late or too early to start working on it but I’m not new in line to view or have a desire to see the NL I’ve been wanting to go since a very long time. Now I find the courage to do it on my own, yes solo traveler with limited handicap, but still determined to do it in March 2015. I’ve not read whole lot of your blog today which I will later but right now want to connect with you so I can start seeking your advise, that is if you don’t mind, and I live in NY city. I don’t know if my mail went to you. The message is “Your message is awaiting moderation”. Dunno what it means. went to yukon end of jan this year to see the lights, but unfortunately (just like shoji) they were having a heat-wave. we only caught a slight glimpse of white lights on our last night there. i’m planning a trip to ireland in sept or oct. since it’s only a hop to eu or iceland from there, i might just try another shot at seeing the lights before heading back to usa, . can you suggest where i’d have the best chance? Great blog! All question answered so well! 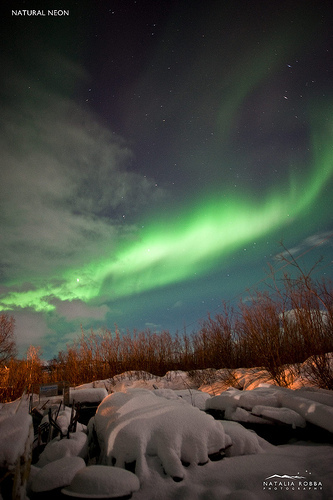 We saw the lights for the first time in Abisko…and now want to see them again! Just that, its costs a fortune to travel to Sweden from India. Most useful information I’ve come across about seeing the Northern Lights. Thank you for posting all this information, Natalia. Based on your blog, I hope to go to Iceland in March’15 to try and see the lights. Thanks for visiting my site =) I’m glad you found the information helpful. I like to think I’ve explained it in a way that is understandable and enjoyable to everyone. Best of luck to you in Iceland in March! Please keep us updated. Would like your feedback on the likelihood for viewing the Northern Lights early March 2015 In Iceland? I love your site! It’s too soon to tell at this stage what activity will be like unfortunately. You would need to get in touch much closer to the time. This is really cool. I’m going to europe in the summer of 2015 (next summer- first two weeks of july) and I was wondering if you could let me know of there are any possible dates where the Northern Lights might be visible. Thanks! Thanks for visiting my blog Katie =) Great news about your travels to Europe whereabouts will you be heading? Unfortunately it is unlikely you will see the Aurora in the middle of summer in Europe. Infact, in the middle of summer the further North you are the less hours of darkness you have, so in this exceptional case you have more chance of seeing the Aurora further South where you have more hours of darkness, however the catch 22 is that being further South, the intensity of the Aurora has to be higher for you to see it. If you were to postpone your trip to around mid August you get more darkness than you would beginning of July. As I said in my previous post, we’re are planning to finally see the Aurora in January 2015, and we’re wondering if you can help with some issues. We’re facing difficulties to book the hotel in Abisko, do you have any suggestions? What about the Aurora’s group in the area, which do you recommend? Do you think 3 night would be enough? 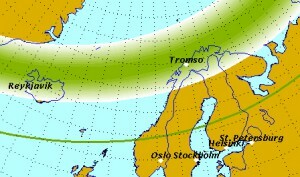 We’re also thinking to go to Tromso straight after Abisko and give the Aurora’s view another go. What hotels and groups around there that you recommend? We’ll have over a week for the Aurora’s hunting and we also want to visit the ice hotel and do the dog sledding. We’re looking forward to hear from you. Sorry for the late reply. Just catching up on a backlog now. January is a great time to see the lights. The temps should be a little chillier but generally speaking that means less cloud cover. Yes I’m not surprised you’re having difficulties, Abisko seems to be getting more popular by the year and often you need to book further than 6 months in advance! 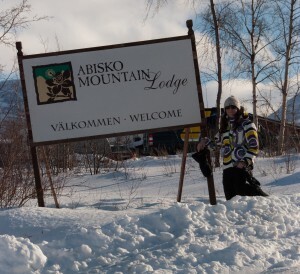 If Abisko is full you could try accomodation in Bjorkliden, just 10 minute drive from Abisko. Tromso is a beautiful city but will make it hard to see the Aurora unless it is very intense, as the city lights will interfere. If staying in the Tromso region perhaps look at Lyngen, or Malangen where there is far less light pollution. Check out Malangen Brygger, beautiful cabins. What a great BLOG on Aurora Borealis you got here!!!! Thank you for the superb write up. Im planning to see the Aurora in Mar 2015. However which part of Mar should i plan my trip. My previous attempt to catch the Aurora in Iceland Oct 2013 failed as we did not managed to see any as most of the days were cloudy. I really hope i can go to Sweden and stay in Abisko Lodge to witness the öh so ever gorgeous Aurora Borealis. It will be like a dream come true. Thanks for your kind words =) I’m glad you found my post useful. I would recommend planning your trip around early March rather than late March, simply because I’ve found that that’s when temperatures are likely to increase as the region starts to move into Spring. I have plans on visiting Ivalo sometime around the last week of this month, possibly until early October for a total of about 5 days. Do you have experience regarding the weather conditions during this specific period of time? Would it be a good time to see the northern lights? The weather might be a little cloudy at that time, but its hard to say the weather can change so fast. All you need is a little bit of luck and you may well have clear skies for days, or you could be under cloud cover your whole trip. Hi natalia, am trying to plan a trip to ivano between late dec 14 till early jan 15. May i know if you would recommend trying to see the aurora between these dates? Any further personal advice regarding the location and dates that you can give? (If we can’t make it in feb/mar. Looking forward to your reply. Thank you! Thanks for an enlightening blog, very impressive. 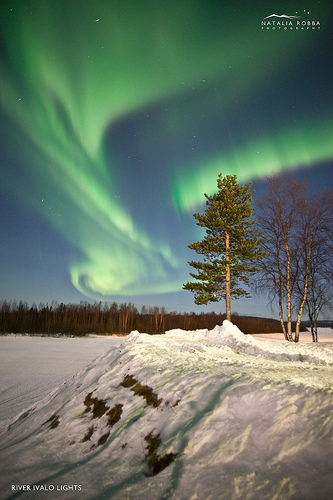 My wife loves the Northern Lights, and we intends to go to Finland ROVANIEMI: Igloo Village, as part of a package tour. Do you think we can see the Northern Lights from there, during January 21 2015? For your kind advice, please. 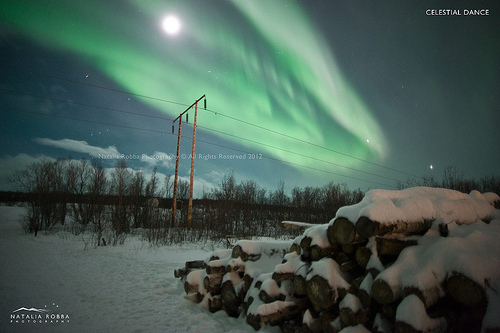 I am planning to see northern night on early Feb 2015 , I am struggling between Abisko or Inari. Which place to do think has higher chance to see northern light during that period. Looking forward for your reply! Many thanks! I loved your article on “The Aurora Borealis (The Northern Lights) – Everything you need to know.” It was indeed all of the relevant information anyone would need to allow them to understand and view this wonderful phenomenon. Your passion on this topic is evident which is refreshing given your relative youth. I too had a fascination with the northern lights at a young age, around 7 or 8 as I recall. Your writing is very clear and concise and you held my interest the whole time. You are also an excellent photographer. All the best to you in your future endeavors and aurora hunting! Spent 5 nights in Iceland last week (returned to the UK on Sunday 12th Oct). We were extremely lucky with the weather, 5 days and 5 nights nearly clear all the time with not even one spot of rain. Full moon whilst there. Very low activity the first night but then sat in a outdoor hot tub in Vik on the second night we saw a white moving cloud like band spanning the horizon and so got out and into the car and drove 5 miles into the hills and spent the next 3 hours there. The first time my gf had seen them, so pretty special occasion as they got stronger and the green colour came out. Later on (near midnight) they got really strong for about 5 mins and i saw pink/red colour for the first time ever. The full moon (it was that night) didnt spoil it as we had expected. Rather it allowed the glaciers on the horizon to come out in the photo better. First time I had tried to photograph them and whilst it was a bit hit and miss (difficult to focus on them in manual without an infinity mark on my lens) we got some reasonable photos. They didnt appear the next night, but did again very faintly the night after. All in all, very happy and exceeded our expectations. It was only after booking that i realised that it was not only the wettest month in Iceland but also coincided with the full moon. Great backdrops for the lights if they do come out. Hello! This information is really helpful. I’m planing to visit Canada in January 2015 and even though it’s going to be my first time there I’m thinking in skipping the cities to go see the auroras. Now I have a better idea of what to do and where to. If you have any other special advise about auroras in Canada that would be great! Thanks for your help and great job! It has been a wonderful experience going through your blog. I am planning a scadinavian tour in March 2015. Will be spending 1 night on hurtigruten from bodo to tromso, 2 nights in tromso, 2 nights in abisko between 23rd March to 28th March 2015. Will it be sufficient/ good time for Aurora hunting. I can still change my itiniary as per your suggestion. Stockholm is a beautiful city! I have visited several times and loved it. Yes mid December is a good time to see the Aurora. You will just need to be lucky with clear skies. Abisko does have a tendency to clear up a little bit as the evening approaches, so thin clouds overhead may well dissipate as night falls. This happened several times for me despite cloudy forecasts and we were able to see some great Auroras. However if cloud cover is heavy you may well just be under cloud cover for a while and it’s worth checking the local area i.e. Bjorkliden, Narvik, Kiruna to see if there are any clearings. Excellent post. very informative. I am from India and I am planning to get charmed by northern lights next year in 2015 preferable during late Sept/early Oct. However, i want to be very sure on the destination I pick because probably this will be my only chance to see the lights as it is very expensive to travel from India to all these places. First i was looking at Tromso but now if there is lot of light pollutions as you mentioned i am reconsidering it. I want to know what are the chances of visibility in Senja, Helligskogen or Mehamn. Looking forward to your reply. Yes Tromso is beautiful but if your main aim is to see the lights you will need to get out the city. I always prefer to stay somewhere where I don’t need to travel far, or at all, to see the lights when they come out. So I choose out the way areas. In your case I would recommend either Helligskogen or Mehamn. Senja is coastal and your chance for cloud cover is higher. Hi, I am flying out to Tromso on 12th January but did not realise the sun will not rise. Is there still a chance for me to see the Northern Lights as I am not sure if solar activity will reach Tromso if the sun is not rising there? Thanks. Hi Kajal. The Sun doesn’t actually need to be visible in the sky for Northern Lights, in fact it’s preferred that it isn’t or the Northern Lights would be quite hard to see =) ! The Aurora is caused by the solar wind that the Sun emits that interacts with our magnetic field at the poles, rather than from the sunlight itself. So don’t worry! Solar activity will get there just fine =) Look out for clear DARK skies after 6pm when you’re there and cross your fingers. You gave some great advice in this post. I’m hoping to pick your brain for a specific recommendation. I’m planning on a Feb/Mar trip with the main objective to see the Northern Lights. Would like to spend some additional time visiting a new place, but I’m thinking 4-5 days in a NL-centric locale and another 4-5 somewhere else. I’m US-based, but am perfectly happy going to Europe :). So, if you could pick anywhere for the best chance to see the NL, which would you go to? I was nearly settled on Abisko, but am having second thoughts. The fact that one can just walk outside and see the NL if/when they occur is super appealing. I would prefer not to have to drive / take a tour every night (at a high cost of time and money) for the chance to see the NL. Also, if Feb/Mar is wide open, when is best? Near the Spring Equinox? New moon? Earlier better since nights are longer? So many factors to consider! Thanks for your comments =) Good question! The thing with the Aurora is there is no perfect time. If we’re talking statistics and likelihood of solar flares then the time around equinox (march/april) is best. Having said that, I’ve had more success in late Jan/Feb/early March mostly due to the weather. You can have crazy activity and it won’t do you any good with a cloud covered sky. So for me Jan-early March is the best compromise. Solar activity tends to be good around that time too and chances for clear skies are generally better. If I had to choose between Feb and March therefore I’d take Feb. In terms of location, can I ask what put you off Abisko? It’s defo a top place to try. Not saying it’s the single best but a fantastic place to try. The only negative I would give it is that being closer to Norway’s mountainous borders theres slightly higher chance of cloud cover than say Finland or further inland Sweden. Ivalo/Finland is another great option. Defo recommend picking somewhere that is already established in low light pollution areas, tours are as you say expensive and to a schedule. The Aurora can show up as early as 6pm or make you wait till 2am, so accessibility to the dark outdoors is a must for the enthusiast. Try and stay at least 4 nights for a good chance. Let me know where to decide to stay! Thanks for your response! My reservations with Abisko is its isolation. Tromso is appealing because it seems like it has a lot to do, but the light pollution is keeping me from choosing Tromso. I’ve considered doing 2 nights in Tromso, then transiting to Abisko via bus to Narvik then train to Abisko, and staying in Abisko for another 2-3 nights. Trying to get the best of both worlds. But of course, also trying to maximize chance of seeing the elusive Aurora. I was leaning towards mid to late March, but from your reply now I’m thinking I should back that up to late Feb / early March. I’m pretty indifferent on time, just want to avoid the frigidness of January (I know it will still be very cold in Feb/Mar :)). Thought I’d gotten back to you on this sorry! Tromso is a beautiful city and I do think it’s worth a visit. I would go with what you’re doing and spend a few nights there and then head on to Abisko. If news comes of a big Aurora storm on the way while you are in Tromso, you could always take a tour for the night to get away from the light pollution. Let me know if you’d like me to keep you in the loop while you’re there in Tromso. Haha yea it’s pretty damn cold! But tbh at some stage it all feel pretty much sameish! Hi there =) Thank you! Murmansk would be a great place to see the Aurora Borealis. It’s positioned nicely at about 65 degrees North at corrected geomagnetic latitude, which is a great latitude for Northern Lights viewing. Make sure you spend at least 3-4 nights there. The longer the better. End of January will be a good time too =) Best of luck! I hope I had found your website earlier. It is full of easy to understand information on taking photos on Aurora Borealis. We are going to Muotka, Finland on 5th December for 4 nights. It should be full moon on 6th Dec and snow on 5th and 7th. I used film SLR many years ago. I have a Canon Powershot G12 for a couple of years but only purchased a Nikon D5300 (low noise in high ISO) camera kit with a 18-140mm f3.5-5.6G ED VR and I also bought a Nikkor 35mm f1.8G. Would you advise me which len should I use? I read from another article that the author who stayed in the same lodge needed to walk half hour uphill in the snow to arrive the spot of watching the lights. I think it is not feasible to carry both lens and change them in the field as I am not used to the cold and one of my knee caps may complain. I hope we have the chance to see the lights and with the advice from your articles, I can also take some lovely photos. Saw the a little too late I’m afraid! I hope you have had a fantastic time in Muotka how did it go? I hope you went with the 35mm 1.8G as the other lens would not have been a wide enough aperture to capture enough light. What lodge did you stay at Chi? Thank you for your reply. Happy New Year 2015! We were very lucky on 6th Dec as we were later being told that it was the best show in the last 6 years in the region. I started with the 18-140mm f3.5, ISO1250 10 seconds. The images looked like being taken in the day time as both of the full moon and the Aurora Borealis were so bright with the reflection of snow. I experimented with different settings and even with ISO800 and 5 seconds for some bright images and 2.5 seconds for some showing stars too. Since the lights were so large in scale while f3.5 could allow enough light, I had not used the 35mm f1.8. It was the first time we saw Aurora Borealis and we were very happy about it. We stayed in Muotka Wilderness Lodge. In winter, our package included winter activities: cross-country skilling, snow-shoeing, husky safari and snow-mobile safari. It were hard works for us not used to the cold but we enjoyed the whole trip. Saw this a little too late I’m afraid! I hope you have had a fantastic time in Muotka how did it go? I hope you went with the 35mm 1.8G as the other lens would not have been a wide enough aperture to capture enough light. Such a wonderful blog. Iam myself a travel blogger and I am so overwhelmed reading your blog, its amazing. I havent decided a location yet so iam asking the question the other way round. Based on the above dates, which location you think is most suitable for citing the Aurora? Thanks a lot for the amazing info on your blog. I always wanted to see the Northern lights, and the eagerness to see it has increased all the way more after your detailed explanation and personal suggestions. I have narrowed down to spending about 4 days in the Inari area after reading your blog, and that you had stayed at Hotel Ivalo. Which city is better for lights viewing – Ivalo or Utsjoki? So sorry for the late reply, hopefully this is still helpful. WIth Christmas and New Year projects I haven’t had much time to visit the blog. To get back to your questions. It is a little difficult to say in advance what will be the better time weather wise. My inclination is to go for earlier March as the temps will start to increase later into March and may bring on cloudier weather. However there are no guarantees. 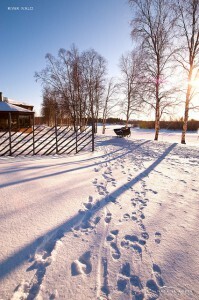 Inari is a great location to stay in, as well as the Ivalo area. I’m staying in Guesthouse Husky at the moment in Ivalo. Between Ivalo and Utsjoki I would say Utsjoki is a slightly better destination as there is less light pollution, having said that Ivalo and Inari do not have much! I would go with whichever is the most convenient travelwise, they are all great destinations. I can strongly recommend Guesthouse Husky, they are extremely friendly, hospitable and cook homemade food for you, and you simple need to step outside to catch the lights if you are under clear skies and there is activity. Thanks a lot for your reply Natalia. Have booked my stay at Hotel Ivalo in earlly March as you suggested. Will you be in Ivalo till march? Travelling alone and not likely to drive a connected city with many options seems a good idea, plus I have a fascination with Tromso though I’ve never been. Wherever you choose to go, destinations that are outside the city lights are always great as it means you dont need to go on aurora tours, and you can simple step outside to see the lights. It also means lower light pollution. I can make some specific recommendations on accomodations in Sweden, Finland and Norway if you like? I went with Tromso in the end and booked it all at the beginning of January. I’m going in a few weeks! for 7 nights in February. Excellent Stefan! 7 nights is a fantastic time! I am sure you will have success with that timeframe especially taking tours away from light pollution. We got some fantastic lights here in Ivalo on Jan 21st very happy with that 🙂 will talk about it in my next post. Sadly not with Kjetil Skogil, though I heard he is good. I have a northern lights photography tour and a Green fox lights tour. With room for more at the end of the week if I’m unlucky. The weather doesn’t look great for next week in Tromso, I’m slightly concerned. The forecast says a lot of snow all week, I hope it isn’t too overcast. first I will thanks Natalia for this great internet side and aurora pictures. It was very helpfull to create our holiday trip includes the aurora. (Norwegen, Sweden Finland, GB, Ireland, Iceland). Now we have ready our winter round trip in the north from 19.02. till 10.03.2015. We are the full time in the great aurora zone and perhaps at the best places to watching it. We travel also through Natalia`s top places. But I hope also at the right aurora-time. But I know only the cities/areas and not the right exactly points/hills, whatever in this area for watching the auroras. All hotels are booked now. Now I give a overview about our roundtrip / cities of our hotel nights. If anyone have to any place were we come through a good tip, it is very helpful and welcome for us. Please keep us informed of your progress it sounds like a great adventure. I have plant to make a travel blog. But it is in german and I´m not sure whether I have the possibility to document each day. If you don`t want this link in your blog please eliminate it. Apologies for the late reply once again. Christmas and New Years has really set me back with my Aurora stuff! Hey…we just got back from Iceland in Feb after seeing the lights. Its a great place to see the lights and there is so much more to do in Reykjavik. We would posting a few blogs on it…until then…here are the reasons why you should go to Iceland to see the light! Hello, Natalia! I absolutely love your blog and photos! My husband and I are going to Iceland from September 12 until September 18, 2015, so we’ll have 6 nights to see the aurora. It’s not very close to the autumn equinox and some say that winter months are better to see it, but we hope we’ll have a bit of luck. What do you think about our chances to see the Northern Lights during that period? 6 nights is a fantastic amount of time and gives you a great chance of seeing the lights. You are infact very close to the autumn equinox (Sept 22nd) so it ‘s a fantastic time. As long as you have clear skies you stand a good chance of seeing some lights. Would love to hear how it goes =) Whereabouts are you staying? I will be visiting Iceland in September of 2015 also. Excited for you! If you cant get clear skies it might be worth renting a car for your stay. Sometimes 10km makes all the difference and any weather report that shows cloud coverage would help you know what directionto drive in. so I’m afraid I waited too long can’t get any reservations for Sweden I wanted to stay at the mountain lodge but I think it’s outside of my budget unless I’m doing the conversion wrong. But anyway it’s been my dream to see–so do you have the dates for viewing in 2016–or is the months the same? I’m trying to book last week of feb.
Is Finland an option perhaps? Abisko mountain lodge does book up far in advance, there is a chance still of getting bookings at places here in Finland have you tried? Check out Guesthouse Husky, Nellim Wildnerness Lodge, Hotel Ivalo. Ivalo is a great location to see the lights from also. I was browsing about Aurora Borealis as I’m about to create an itinerary for my upcoming group visiting Iceland in November and wanting to see the famous Northern lights, and happen to land on your blog. It was very informative and I want to get your opinion if this November would be a good time to go and have better chances to witness Aurora Borealis. I was informed that it’s best to come in winter months from November -March for the Northern lights. You think so? Your inputs and recommendations are highly appreciated. Warm regards! One can see the Northern Lights as long as the skies are dark enough. Roughly this is from early September to early April. As long as there are clear dark skies there is a chance to see the Aurora Borealis. More important than time is duration. Aim for atleast 3-4 nights to increase chances of landing some clear skies. A very insightful blog on the Northern Lights. I will be going to Ivalo, Finland, from 18 to 28 March 2015. What are the chances of seeing the Northern Lights during these time-frame, please? Really nice articles! I am writing in from Singapore and have been researching about places to watch the Auroras and so many other articles out there are really just advertisements. Your article here is a gem for many others who wanted to do some real research on their own journey. I am thinking of blocking off a period in October this year to go catch the lights, maybe visit a friendly country at the same time. Thing is, i would be travelling alone and i am not sure if there could be any complications or language barrier issues if i travel alone to either Ivalo or Abisko. Would you be able to advise on my best options for this journey? Also, would i be better off signing up for a tour if this is my first time over? I’m also planning to visit Norway this year…around November. I come from Greece and it is a life dream to see Aurora…the only period that I can travel is between 15 of October and 30 of October. I was thinking of going to Iceland but after reading your post Finland and Sweden seems closer and cheaper to me…I have been to Norway (not in Tromso) and the prices are super super expensive. So, from your experience, in terms of time (october) and expenses (accomodation, food) which area do you thing is better? (they have told me that Finland is cheaper than Norway and Sweden, is that true? I can stay 7 nights. Thanks again for sharing your infos and moments with us and keep on the good job! This post comes way too late but I wanted to wish you safe travels! Finland is indeed a little cheaper from my own experience. Let me know how it goes! Are you still heading there? Awesome information. I and a group of my coworkers on our way to Kiruna now. It’s a quick trip of only a day but we’ll see what happens. Thanks for all the website links. It gives us a bit of hope. Thats a lot of helpful information in one place! Great stuff! But you must include Iceland in your list of places. We are just back from Iceland and Reykjavik is such an awesome place to be based to see the lights! Do plan s trip there if you can the next time! Thank you =) I have been putting off Iceland for years now due to the extra cloudiness over there, but the time has come! Planning a 2 week mini road trip across the whole island! I shall visit your site now thanks. I came across your blog while researching places to see the Northern Lights in early December this year. I just went to Iceland earlier this year but did not have any luck with seeing the aurora. Therefore I am trying to see it again, but in a different place. I love this article. It’s very informative and helpful with my search. Originally I was thinking about Tromso but now I’m having second thoughts. Kiruna looks like a good choice also. Anyway, great job on the site. Hi Thang, thanks so much =) Ivalo is also a fantastic choice! This really demonstrates that you can still find individuals that value what they post on the web. I truly loved browsing the comments. Thanks for your page and the great experience and research you share with us. We are planning to fly to Kiruna for skijing in Riksgränsen combined with seeing the northern lights. The earliest possible (2 weeks school holidays) is from 09 April 2015. Is it worth to try or will there be almost no chance to see the northern lights? Is it gone from 16. April? Thank you for this helpful, detailed response to the above question because it is the exact question I have. My family are coming over from South Africa in April 2016 but the earliest dates we can get to se the Aurora is 10-12 April. Another Q – you say Reykjavik in Iceland is not a good option but what if we hired a car and drove to the national park away from the city lights? Also, if we chose Abisko instead as a destination what do people (on a tight budget as the ZA Rand is weak!) usually do during the day whilst waiting for nightfall, as it´s in the middle of nowhere I gather and Kiruna itself is not such a pretty place hang out..? What are your thoughts on aurora sightings in Yellowknife in mid Oct. I’m planning a road trip there from Seattle. My plan is to stay a week to 10 days. Any advice or insight to shooting locations? 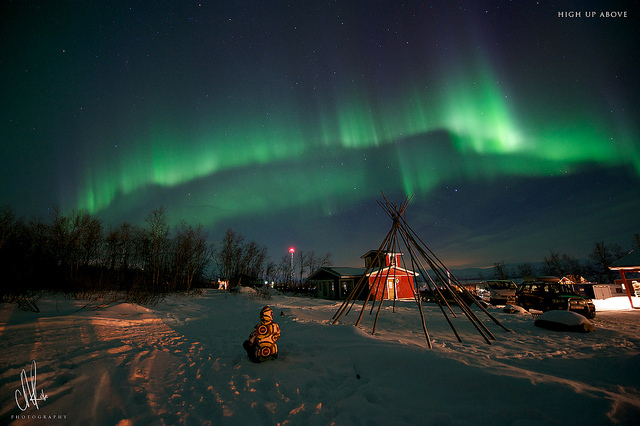 Yellowknife gives you fantastic opportunity to see the Aurora. Saw one of the best shows of my life there in 2008. 10 days is a great amount of time to stay too Ana. I know this reply comes late and I hope you are on your way there! Please keep me updated =) Grace Lake is a great place to head to but you will need to take a bush plane. 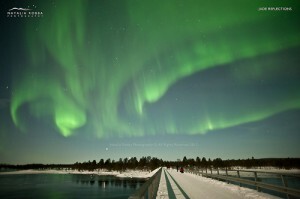 Natalia, I came to your site while checking the Aurora viewing places in Google, very nice site. But I want to ask a simple question to you. I thought any place enough north or south around 65 geomagnatic north and further up should be good for taking chance with Aurora. But I see that specific green band and wonder if people try even further north beyond that band, will that be futile try? I am planning a Greenland trip in March and expect to see Aurora but will the 73 degree Geomagnetic North of Ilulissat, be a hindrance for watching this magic as it’s further north of the green band, may be I am asking a stupid question but just want to know what if someone goes further north of that green band in Northern Hemisphere. Many thanks for visiting my blog and leaving a comment. You are right in your general assumption. There is no one specific place to see the Northern lights, just better and worse places on the night. Generally speaking around 65 geo magnetic north puts you in a pretty good spot. However that is not to say that you wont see fantastic auroras further north. As a general rule, the further south you move away from the Auroral band, the lower on the Northern Horizon the Northern lights will be, and the further North you go from the Auroral band, the further South on the horizon the Northern Lights will be. What I’m trying to say is that sure, if you move too far North or too far South, you are hindering your chances, 73 degrees North is quite a bit further North but is still a decent spot where you could see some great lights if activity is there on the night. I would estimate a requirement of approx kp 3 to be able to see some lights from that location. Many Thanks Natalia for clarifying the doubts 🙂 This is a very nice initiative from your part to give a platform on discussing something which interests so many but there are so few places available to ask any question on this topic. Thanks for visiting my site. Sorry for the late reply I had some website troubles which I’ve just sorted out. March is a beautiful time to try and see the Northern Lights, however I wouldn’t recommend the Hurtigruten as a method of seeing the Aurora. You may find higher chances of cloudy skies around the coast. On the plus side, you will be travelling away from light pollution, so it is all down to luck really. I always prefer to stay on land and drive around to find clear skies if necessary. You could drive from Harstad to Abisko via rental car it is about a 2 hour drive that would be the most straight forward way. Hi. 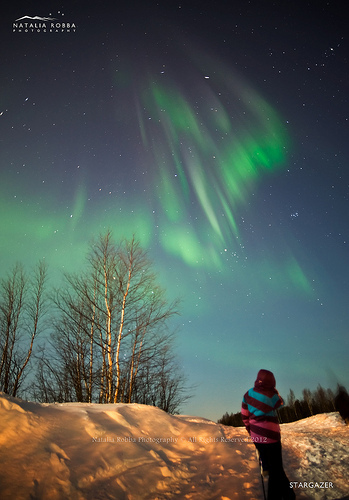 Will there be a good chance to see the northern lights around Kiruna from 09 April to 23 April 2015? unfortunately there is no way at this stage to say for certain that far in advance as we rely on solar data in the days before to predict our chances of Northern Lights activity. However if you are staying in Kiruna for that long you’re chances are very high, in particular earlier in April when you will have more hours of darkness. Thank you very much for such a nice and generous post. I would love to travel next march to watch the beautiful lights, but still thinking about the place to stay, as my “budget” is a bit tight. Thanks for a great write up! Very informative. Beautiful pictures too. I’m planning to go to Abisko in December. After seeing it at no 2 in your list, I’m more than excited. What other winter activities would you suggest whilst in Abisko? I’m going to be there for 6 nights. Definitely do the Dogsledding while you are there Sathy, they are such beautiful animals and it is so amazing to see dogs that are truly thriving in their natural environment. 6 nights is a great amount of time to stay there and you have a high chance of success. Please do let me know how it goes! Hi maggie =) Thanks for visiting! While there are general guidelines for northern lights viewing around the equinoxes thats no reason to suggest January isn’t a good month for Aurora hunting, it absolutely can be. It’s cold in January, the weather can be a little more stable, all you need is clear skies! Hi Natalia, your website is simply amazing, so much information, thankyou so much! I am booked to visit Tromso for a week from Feb 19th 2016, it will be my first Northern Lights trip and I’m so excited I’m even getting on my own nerves ha ha! I realise it is going to be cold, and I’m all kitted out for my adventures (thanks for your info on clothing too), but I do have a question if you can help with it? I am struggling with footwear – I have my big snow boots for day and night adventures out in the snow, but what about for just walking around Tromso in February? I imagine it might not be ok to go to restaurants in the evenings in my great chunky snow boots, what do other people wear for going out for dinner, and for just wandering around the city? I assume trainers would be no good for daytime city walking about? Is there usually much snow on the ground in the city itself in February? Any help from anyone would be so appreciated – thanks very much for any advice! Hi, Natalia! Thank you for this useful information! I have recently returned from Iceland, where I was so lucky to see the northern lights 5 nights out of 7 and my husband and I are already planning our next adventure. We were considering Finland this time, Ivalo to be more specific, but it seems rather boring and we want to stay for 5 nights. Thus, do you (or anyone watching this comment section) know if Rovaniemi is a good spot for spotting the aurora at the beginning of March or do you have any other budget-friendly suggestions? Hi there, you are so lucky! Did you join any tour? It will be my first time to Iceland in Feb 2016 and seeing the northern lights will be my priority. Any recommendations, e.g. tour operators etc? hi, im going to Iceland on Feb 3-7 2016. We stayed at Hotel Orkin, but you cannot see the lights from the hotel and Perland and Solfar are quite a walk away from the hotel, so I wouldn’t recommend it if you have kids with you. It’s best to go on a tour or maybe stay at a hotel close to Perlan. Hi, JY! We joined a tour (Gateway to Iceland), but we were disappointed with the outcome as we didn’t manage to see the lights properly (not with the naked eye at least; we just caught some green light on camera). My advice for you is to try to see the lights from Reykjavik at first (Perlan and Solfar areas come to mind) and if the aurora is not that powerful, join a tour! We managed to see breathtaking auroras from the above-mentioned places and also from the plane. Really enjoyed your sharing on Aurora Borealis, thank you. I’m from Singapore and my family would like to see this miracle of nature. However, someone told us after 2016 it’ll be harder to catch the Northern lights. Is there any true to that? We are planning around Dec 2016 or Jan 2017. Which month would be better and the best location to see it. You had listed some places but can you advise which will be best during that period with activities in the day. Where is the best place to capture Northern lights and when? This is such an amazing page that I’ve planned and re planned my journey thanks to this. It’s easy, simple to follow and most of all gives you the belief that you might get lucky and see the Lights. •	Helsinki back home to Dubai! I came across your bog while trying to plan out my Iceland trip. I am planning a ten day trip to Iceland. Though I understand September will be a good month, but I want to align my trip so that I can also run in the Aug 20 reykjavik Marathon. I am not getting any Good info whether I’ll be able to see northern lights if I am in Iceland from 18 aug 2016 to 28 aug 2016. can you please guide me? Remember the Northern Lights are always present, what stops us from being able to see them during the summer months is lack of darkness. So the limiting factor here is infact how many hours of darkness you will get. Checking out the dates you mentioned for Reykjavik we can see the sun sets around 9:30pm and rises at 530am. You will get some darkens=s, it just wont be as many hours as there would be in winter. So ofcourse you could see the Aurora, just that your window of completely dark skies will be smaller than it would be say 3-4 weeks later. However, beautiful Auroras are still visible against a slightly lighter sky and infact make for some very beautiful photos! Thanks for the info. Lets hope i get lucky. Very good post. Seems as though much time and effort went into this. I am currently pondering between Ivalo and Saariselka. Ivalo seems very good in terms of non-pollution, but there is hardly anything to do there. Do you think that Saariselka is a good option or is there too much light pollution even if I get a bit out of the town? Lots of great insight into the Northern Lights here. I haven’t yet managed to travel to somewhere where I can see it (too far south in Europe sadly). I intend on doing that later this year though. I’m always fascinated with the NL. It’s definitely in my bucket lists. My family and i are planning to go to Kiruna , Abisko and Tromso to see this amazing lights in 2016 December. Do you still think it is possible to see the NL even though I heard that it’s ending in 2016 ? If not I’ll wait for another decade before I plan to see the beautiful NL and shall plan other destinations for December 2016. Hope to hear from you soon Natalie. I have so appreciated this website and all the useful information on it. I have lots of trips planned for the next couple of years, so I think it may be 2019 or 2020 before I get to go to Northern Scandanavia to try and see the Northern Lights. I notice that the Aurora cycle will be at its lowest on those years, but as I am a real dummy as regards science, I am not at all sure what difference visiting say Ivalo in late March of 2019 or 2020 (around the equinox) will make to our chances of seeing the Aurora as opposed to say going this year, when the scientists from Kiruna say there is an 80% chance of seeing something if you stay 3 nights or more. Hope Natalie or someone out there can tell me a little more. Greetings from India. Nice blog and info. I am planning to drive from Oslo – Bergen – Sogndal – Geiranger – Molde – Kristiansund – Lillehammer – Oslo during winter (Mostly 23rd Dec onwards) and then move to Finland self drive holiday. Is December end – Jan first week good time to drive in Norway and Finland? Will I get to see Northern lights (or how high the probability is) in my route? Or would you suggest any other route or should I start from Tromso. I want to spend maximum 9 nights in Norway and 8-9 nights in Finland. Would appreciate your suggestions. Thanks. Seeing the lights has been a dream I can’t afford to pursue. By a fluke, I was allowed a flight to Iceland on that night, and can take my family. I’m wondering if I will finally see it! Thanks for such an awesome site sharing such detailed information abouy your adventures with the Northern Lights. We are planning a trip to hopefully see the Northern Lights and enjoy some nature activities as well. We are looking to travel first 2 weeks of October. And I’m getting so confused with all the information I’m reading. Would you think Finland, Iceland or Norway is a better option and higher possiblity of seeing the lights? And which parts of that particular country is most ideal? Thanks so much for your time and help on this. Thanks for visiting my site and leaving a comment. I will soon by planning my next trip as it’s been a while now and I need my Aurora fix hah! I would opt for Northern Finland in particular Ivalo, Inari, Saariselka towns like that being a little being further inland and away from gulf stream for generally more stable weather conditions. Norways coastal towns can have a tendency for more cloud cover due. However having said that all you need is a little luck weather wise and all three Northern destinations are great choices to see the lights. Thanks for such a Great Blog!! After reading so many insights, I’m getting more confused about deciding on date for my trip.. Me and my husband planning trip in October 2016 to Tromso (Near new moon dates) but after reading your blog and comments over it i have understood that Feb/March is most preferred month for NL hunting.. I love love love travelling and witnessing Northern Lights has always been on top of my bucket list.. Now the fact about more inclination towards Feb/March making me feel nervous about my travel plan getting postpone but at the same time i don’t want to take decision haphazardly out of eagerness because will be travelling all the way from India so want to give wise time and have probable experience of NL.. What is your recommendation about visiting in October?? Any recommendation for other destination looking at October travel plan.. Many thanks for visiting my website and commenting and for your kind words! Glad you found this guide useful. It is time I updated it with recent trips and extra locations which I will do soon =) It is a tricky thing to be honest, I base my recommendations of statistical probabilities but the truth is, all you need is a little bit of luck with regards clear skies. You may visit in October and be blessed with clear skies for days, or you may visit in Feb/March and experience cloud cover. The most important thing I would say is to give yourself enough time in Tromso, atleast 4 nights and more if possible. This will give you a good chance of at least getting some clear skies and a chance at seeing the Aurora. September/October is part of the autumn solstice so statistically Auroral activity sees a slight peak during this time, so in that regard it is also a good time to visit, not to mention it is not as cold as February March. I would say, if you can give yourself a decent amount of days, stick with October and you may be blessed with some beautiful Autumn Aurorae =) I hope this helps, let me know if you have any other questions. hi Natalie, we are thinking of goin to saariselka in late oct to early nov. what are our chances? do i have to worry abt the cloudiness? thank you in advance. Hi, loved your site, it brought back found memories and excitement from my very first trip to catch the lights 2 years ago. I am deciding between Narvik and Abisko for the lights next month. I will be flying into Kiruna and have nights there. I won’t be driving and will have to rely on the trains and airport bus. Could you pls recommend what I should do given that I won’t be with a car, the lights and chilling out will be my priorities over the 4 nights. I intend to spend the last night in Kiruna just to play safe ….catching the flight out in the evening. Awesome info! I will be in Reykjavik the 8th of December and then leave the very next day. How feasible is it to see the northern lights if we are staying in Reykjavik and will need to return that night? Does one have to drive hours out of town to see? Obviously, seeing it is a luck of the draw scenario, but want to get a sense for the possibility outside of that. I am from India. My wife and me are planning to go to Abisko in February, 2018. To be more specific on 27th of Feb and this we decided after reading your detail and simplified explanation of experiences and suggestions that you have.I just can’t express in words how helpful it is. This would be our first trip for Aurora Borealis, and we know that we would not visit this place again. So, we want to go there with high probability to witness this. We have got 12 days in our hands, but really confused how to utilise it. We liked your suggestion for Abisko Mountain Lodge and would book for 4 nights stay. Wether we should plan for Tromsø, Lapland, Ivalo, Inari, too or we should got to Iceland. I have an opportunity to travel to Finland or Sweden. Which is the best month, location to see really awesome Northern lights, as that is my only purpose of travel. I have read your top 5 as well as, Ivalo in Finland. I have also researched on Kakslauttanen Arctic Resort as Igloos stay looks awesome ! I am a Filmmaker & thus have camera as my focus! Hi there Anu 🙂 Thanks for visiting my site, hope you found the information useful. I have so much more to add now from travels over the last few years just need to find some time to write it all up. Hopefully over Xmas! Regarding the best month Anu its hard to say, and it really depends on the setting you’re after. If your main aim is solely to see the Northern lights, then I would hedge my bets around the equinoxes and the months where the weather is generally more stable, so basically, around March and Sept/October. Best thing to do is checkout weather statistics for those months in the area you’re thinking about and go with that. That being said, you really just need a little bit of luck and some clear skies, and that could happen in any aurora viewing month, so I tend to always stick to the equinoxes where auroral activity does have a tendency to increase. I would go with Ivalo in March if you can make it. March is good for me Natalie as I may be in Poland in that month. Which part of March? Early, mid or late? – yes, I will specifically travel for Northern Lights. Ok let me chk out Ivalo, but how far is the Igloo resort I have written about? Thanks a zillion. Stay blessed & Merry X’Mas! Great! 🙂 Im partial to March and Sept/October depending on location. Regarding March anytime is good really, however if I we’re looking for myself I get a little overly reliant on statistics and I stick to the equinox around March 22nd give or take 1-2 weeks. I know the resort you are talking about, I haven’t stayed there myself but I have driven through it while staying closely in Guesthouse Ivalo (highly recommended). The resort you are talking about is actually very close, approx 30 minute drive from Ivalo Airport, so all very accessible with a rental car. Thank Natalie. March 22nd is being zeroed in as I cannot stay for more than 3 nights – Is that enough? I have connected with Hotel Ivalo which is reasonable cost. Igloo hotel is great but extremely steep in cost. Lets see closer to the date. Yes, my first viewing & thus want to see all the colours of nature! Full moon – noted! 3 nights is the absolute minimum I would recommend, if you can do a couple more even better. Just incase you get a bad weather spell gives you a better chance of getting out of it =) If 3 is all you can manage though its better than nothing! Don’t take the March 22nd too seriously though, just as a guideline, any dates in March are a good bet. In addition, do you think it is better idea to do Northern lights from Iceland? Thanks Natalie. So ideally I should plan around 15th of March – 18th of March, is it Or 17th/18th March – 21st of March (seeing your Equinox predictions)? Pls advise. Secondly, someone was suggesting that I must stay around more remote locations such as Nellim, Muotka, Saariselka and Nangu?? What & where do you advise – keeping in view that I would travel only for seeing all the colours of Northern Lights? Merry Christmas Anu! 🙂 Sorry for my late reply. Regarding the locations, locations like Nellim, Inari are great locations as they will have very little light pollution. Ivalo is a great little town to see the lights, but as a main town there is slightly more light pollution there. Having said that I saw fantastic Northern Lights right outside Hotel Ivalo on the frozen river, the hotel lights did not interfere much with our viewing. But yes…the towns outside are even better for low light observing if you can make it out there with a rental car. I do recommend Nellim or Inari in these areas. I have an offer https://www.theaurorazone.com/holidays/saariselka-aurora-village-tailor-made. Would you recommend this option as location? Hi there! 🙂 Happy New Year! The location looks good to me. Latitude wise you’re in a good spot for aurora viewing, and it looks like the resort is quite isolated so light pollution won’t be an issue for you. Europe plans are getting firmed up after Easter (after 1st April) week. What are the possibilities of seeing Norther Lights? Please let me know as a lot of money will be spent in my travel. If not, I will go some other time. So, assuming you will visit in early April, it is really just down to clear skies and some auroral activity. As you might know, we’re now approaching solar minimum, however, in my opinion this just means occurrences of Northern Lights due to solar streams from coronal holes will increase, and being around the Spring equinox you may well get to see some decent lights. If not April, I would recommend September/October or the autumnal equinox where the weather is also quite mild. Also definitely stay for atleast 3-4 nights if not more. Revisiting our conversation on Northern Lights (still to visit- sigh!) – this year, what are your predictions for location and month? Between Iceland, Ivalo and Norway? Your advice will be seriously taken as I must must do it this year/early next year – as your advice. Thanks for the nice comments and for visiting my blog, I’m really glad you found it helpful. Got lots of new information to add too with travels over the last few years. It’s a pretty common dilemma you’ve mentioned =) It’s a reason I struggle to decide when booking these trips. However since Northern Lights is always my top priority over activities, I tend to always go for the places with less light pollution. Aurora hunting requires patience at times, and activity can vary significantly even on an active night, for the best chances you want to be able to quickly step outside and look up. My personal opinion for Northern Lights hunting is Abisko over Tromso. Having said that you would perhaps stay just outside of Tromso is one of the other small towns with lesser light pollution, but still close enough to Tromso to visit i.e. Malangen, Kvaloya, Skibotn, for darker skies. Abisko has a slight advantage weather wise being further away from the coastal weather. Hi, Natalia. First, thank you very much for this. I’ve been doing a lot of aurora travel research, and this article is by far the most-comprehensive I’ve read. My wife and I, both 58, are planning to go on our first vacation in search of the aurora in 2020. Because we don’t want to do a lights-or-bust trip, we’ve decided to take Hurtrigruten’s coastal RT cruise from Bergen to Kirkenes to Bergen, figuring that if we don’t see the lights, we’ll still get to see the beautiful Norwegian coastline, which we’ve never seen. Perhaps if we don’t see the lights on this trip, we’ll try a dedicated NL trip next time and go to a harder-to-reach location. As I’m sure you know, this cruise spends most of seven days above the Arctic Circle and goes through Tromso twice. We’re planning to take the cruise anytime between mid-February and late March 2020, and the RT takes 12 days. Length of days in Tromso: From 8 hours, 9 minutes on Feb. 20 to 13 hours, 55 minutes on March 31. March 10 is 10 hours, 56 minutes. According to Weather Spark, chances of clear, mostly clear or partly cloudy skies is 32% on April 17. It steadily increases from a low of 20% in mid-February and continues to rise through March. According to WeatherSpark, Alta is actually worse. So, considering ships depart any day of the week, reach the Arctic Circle on the 4th day and go south of the circle on the 10th day, which dates would you choose? I realize I might be over-thinking this! We could also stop in Tromso or Kirkenes for 2-4 days on the northbound or southbound. If we spend days in Tromso, we’d go on some aurora hunts. Thanks for visiting my blog and glad you found it help. It’s nice to ‘meet’ a fellow stat hound. Stats definitely help and are good but the overall picture is more important. In terms of the time of year, I would always opt for a mid to late March. Just my personal preference but the weather is a little milder, and also its closer to the spring equinox where generally speaking auroral activity is generally higher due to more favourable line up of the earths magnetic field with the solar stream. I wouldn’t get too bogged down with exact dates, but roughly speaking I’d say anything after March 15th as a departure date is good plan, gets you into the arctic circle around March 19th/20th and means you’re in the northernmost cities around that new moon. Thanks, Natalia. That helps quite a bit! We’ll have to decide whether to spend extra time in Tromso. We’d also like to spend two or three days in Lofoten, but, as you probably know, round-trips on Hurtigruten are a lot less expensive than going port-to-port, and I’m not sure if we’d want the added expense of going port-to-port that many times. Then again, if we do Solvaer at the end, the weather might be getting nice. And I know from reading your blog how much you love Lofoten. Decisions! If only somebody could guarantee us that we’ll see the lights on the cruise! You’re welcome =) Glad it’s helped somewhat. I haven’t actually yet visited Lofoten but it is high up on my life for the spectucular vistas and landscapes alone (and the aurora ofcourse). There’s flexibility with the cities, if you do decide on staying somewhere for a few nights, but definitely try for atleast Solvaer (latitude wise, northern ones even better). Sorry about that Lofoten comment. I was reading your blog and Heart My Backpack at around the same time. She loves Lofoten! No worries Dave 🙂 I can see why the lady loves it, will check out her blog too. Absolutely fantastic blog, In-depth insight into the Northern lights. I intend to go to Fairbanks rather than Scandinavian countries, as I believe Fairbanks is less commercialized, hence less crowded, Do you think Fairbanks is a good option? I would disagree that Fairbanks is less commercialised than some of the scandinavian towns, I think it just depends which towns in scandinavia you are heading to. However, I do agree if you’re talking about scandinavian towns like Saariselka and Rovaniemi in Finland, these are quite commercialised in my opinion, but then again, those are not normally the towns I head towards for Northern Lights hunting and instead head a little further north to Inari, Utsjoki, Ivalo where you get a much more authentic and less commercialised experience. Fairbanks is in a good location latitude wise, so as long as you get some clearings in the clouds, you have a good chance of seeing some Northern Lights between 20th and 25th March yes. 1- We will have children with ages ranging from 4 to 16. Which towns and lodges would you recommend for families? 2- Would you recommend us taking a tour with a local operator? If so, are Aurora Hunters still your choice? Many thanks for visiting my blog, I’m glad you found it resourceful. Haha well, I caught the Northern Lights bug a while back now so I don’t anticipate that changing =) Hopefully be blogging for many years to come. 1. I would say all of the northernmost towns are family friendly, however I guess it depends what type of lodging you are looking for. If you can afford it, places like Nellim Wilderness Lodge give you that great log cabin feel, with plenty of accommodation options for different size groups and families. For something a little more budget, the Hotel Ivalo in central ivalo is fantastic. It sits right on the Ivalo river and is very family friendly, you can walk out right over the frozen lake and carry on past it to some marked walks with the family. I saw some great Northern Lights from there several years ago, light pollution did not interfere. A little further south in Saariselka there are even more family friendly resort options. 2.Unfortuntaely I can’t recommend Aurora Hunters any longer as they are operating out of Norway now, however I have a friend who runs tours for a company called Salamapaja (you can find him on a quick facebook or google search). Feel free to let him k now you came from my blog, he offers customised driving tours for the Northern Lights.